Hudson’s Bay Canada are back with NEW daily deals! 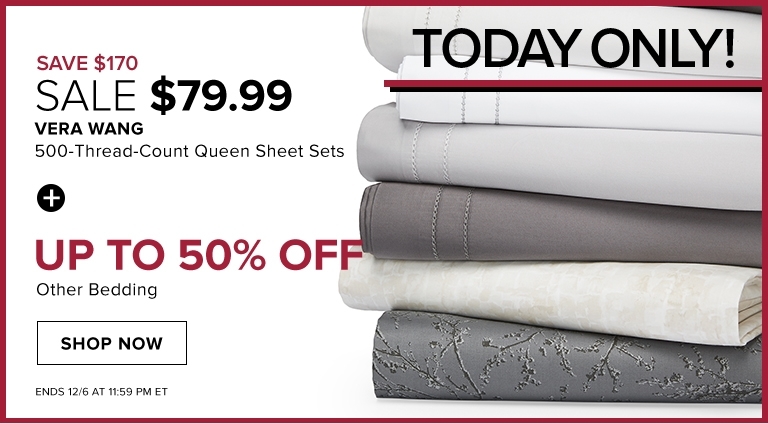 Today only you can save $170 off VERA WANG 500-Thread-Count Queen Sheet Sets, now only $79.99. Plus, Up to 50% Off Other Bedding, Sheets, Duvet Covers, Pillowcases & More. Additionally, you can save up to 40% off women’s apparel, and up to 30% off shoes and boots! Also, save 30% off handbags and wallets and spend $200+, save 30% or spend $150, save 25% or spend $100, save 20%.